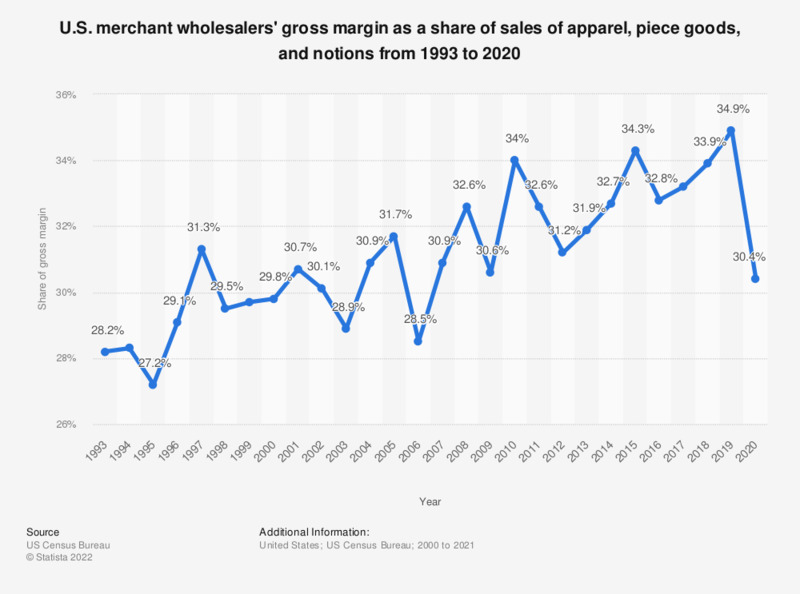 This statistic shows the U.S. merchant wholesalers' gross margin as a share of sales of apparel, piece goods, and notions from 2000 to 2017. In 2017, the gross margin's share of sales of apparel, piece goods, and notions in U.S. wholesale amounted to 32.9 percent. Excludes manufacturers' sales branches and offices. Gross margin estimates are based on data from the Annual Wholesale Trade Survey 2014. Estimates have been adjusted using the final results of the 2012 Economic Census.